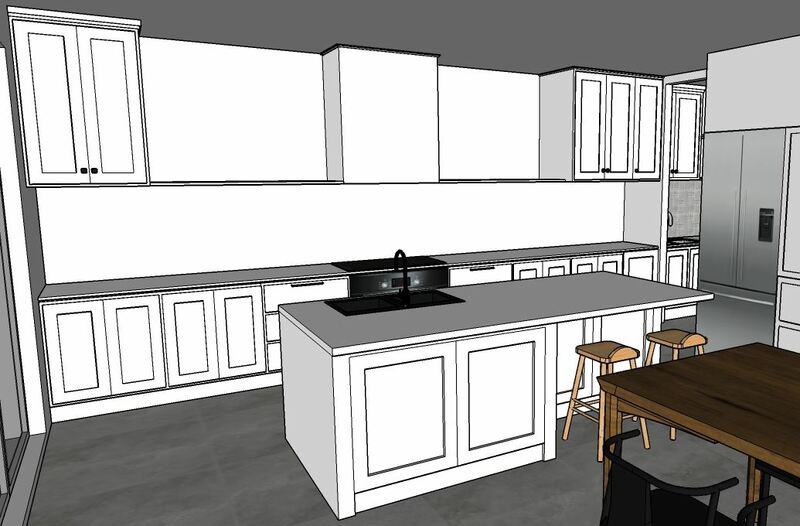 Many of our clients are using SketchUp to design kitchens and bathrooms. In our SketchUp training courses we tailor the material exactly for you so that we cover exactly what you need to create and visualize. To create a kitchen design like the one shown here we would first need the basic room dimensions. These can be added in a variety of ways. If you have bought the Pro version of SketchUp you can simply import the CAD plans if you have them. Otherwise we use SketchUp‘s simple drawing tools to create the footprint of the room, in which case we just need the length and width of the room, the height of the ceiling, and the positions of the doors and windows. The last items could even be worked out from photographs of the room. First open SketchUp and go to the top left File menu to choose New. Next go to the top view icon (on the top Views panel), or go to the top Camera menu and select Standard Views and Top. Select the Rectangle tool (R) then click and release on the screen to establish the first corner of the room. Next move across the screen and note the values in the Measurements field on the bottom right of the screen. Now type directly onto your keyboard: 12000,45000 and hit the Enter key (Mac: Return). Now select the Line tool (L) and click on the bottom right corner. Move to the right and type directly onto the keyboard: 1500 and hit Enter. Pull downwards in the direction of the Green axis and type in 4000 and Enter. Pull to the left (on the Red axis) and type in 4000. Lastly pull upwards (on the Green axis) to connect to the rectangle. To tidy up the shapes elect the Eraser tool (E) and click on the inside line to delete it. 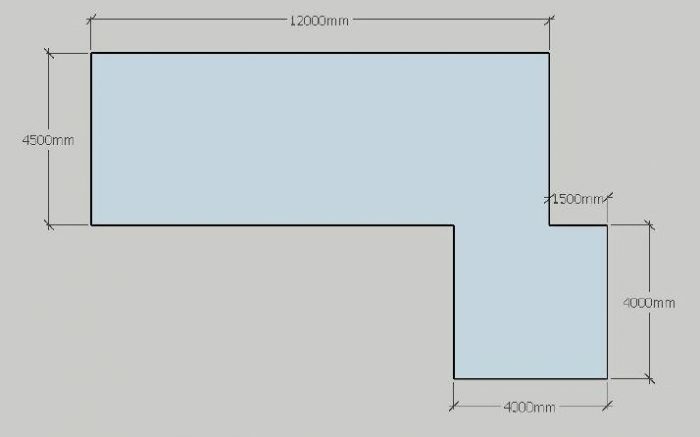 In our next SketchUp blog post we’ll show you how to create walls from this basic footprint, and cut out doors and windows. 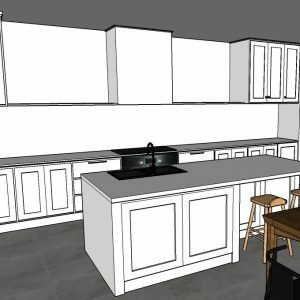 Many useful tips and techniques can be found at the SketchUp website. And see many examples of our own clients’ work on our Facebook page.